tote bag, originally uploaded by candiedyams. 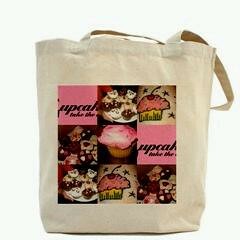 Just in time for the summer...We are selling a Cupcakes Take The Cake tote bag on Cafe Press. Hey there! I have to admit, you seem to have a very well put together blog here!